Nothing can win or lose an arbitration faster than the conduct of witnesses. Witnesses that lack credibility, distort facts, are unprepared, or are otherwise unbelievable can sink even the strongest case. 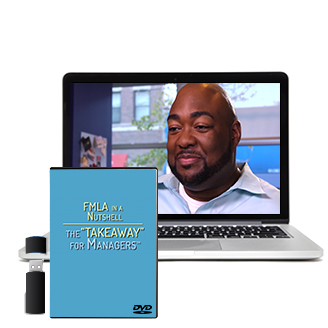 With this program you can prepare your witnesses for their role in arbitration by showing them what really happens in a hearing. 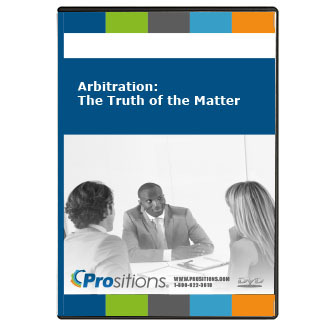 Authentic in every detail, Arbitration: The Truth of the Matter dramatizes an arbitration proceeding with insights provided by the late Adolph Koven, a noted arbitrator, along with two labor relations attorneys who play their real-life roles. 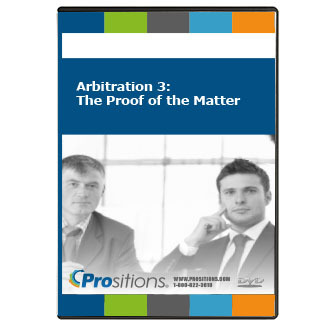 Who bears the burden of proof in arbitration involving a grievance? What is the most common error witnesses make? Can the opposing counsel try to discredit your testimony? How should you answer a question that may damage your case? What should you say when you don’t know the answer? When should you volunteer information?